The juice pack for the Pixel XL will extend the phone’s talk time to over 50 hours, thanks to the rechargeable 2,950 mAh battery, which chargers over USB Type-C. The pack has internal rubberized support pad to help withstand drops and hard fall and your Pixel XL stays protected. There is also forward-facing speaker ports, so sound is amplified and redirected to the front of the case and there’s a LED power indicator to show battery levels and a button to turn the pack on or off. 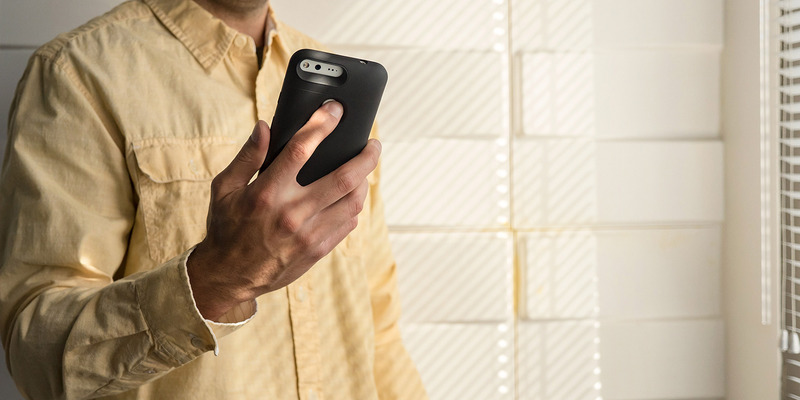 All of this wrapped up in a lightweight, low-profile design with raised corners to protect against scratches and cracked screens. The battery pack will charge your phone first and the juice battery pack, when you need to recharge the pack. 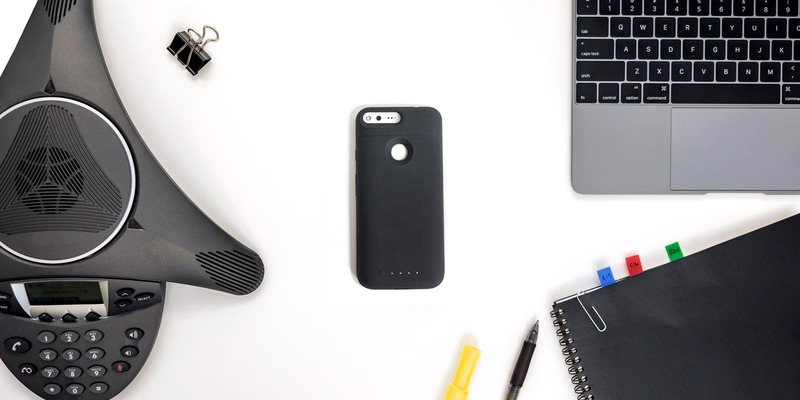 The pack also can charge wirelessly and is compatible with Qi and other wireless charging systems. Pixel XL on a Mophie Charge Force wireless portable battery pack. 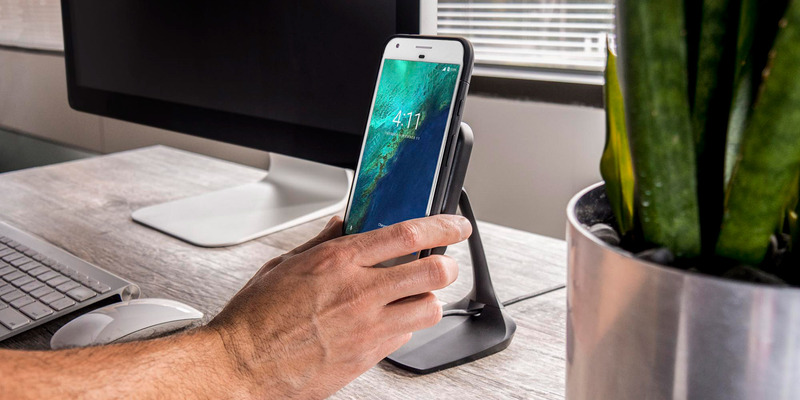 It’s also compatible with Mophie’s Charge Force Technology, so when you place your phone with a Mophie case onto any wireless charging base and power is sent directly to your device, there are also Charge Force docks that magnetically charge at any angle and wireless portable batteries. 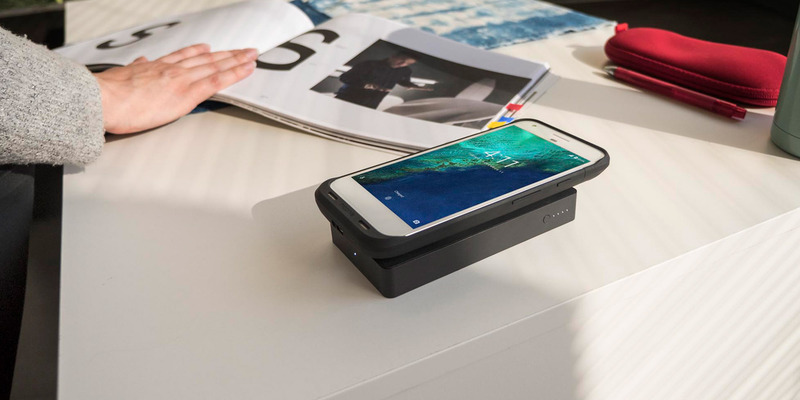 Pixel XL on a Mophie Charge Force dock. While it’s nice to have some extra battery power, it would be great if Mophie released a juice pack for the standard 5-inch Google Pixel since it has a smaller battery and shorter battery life. 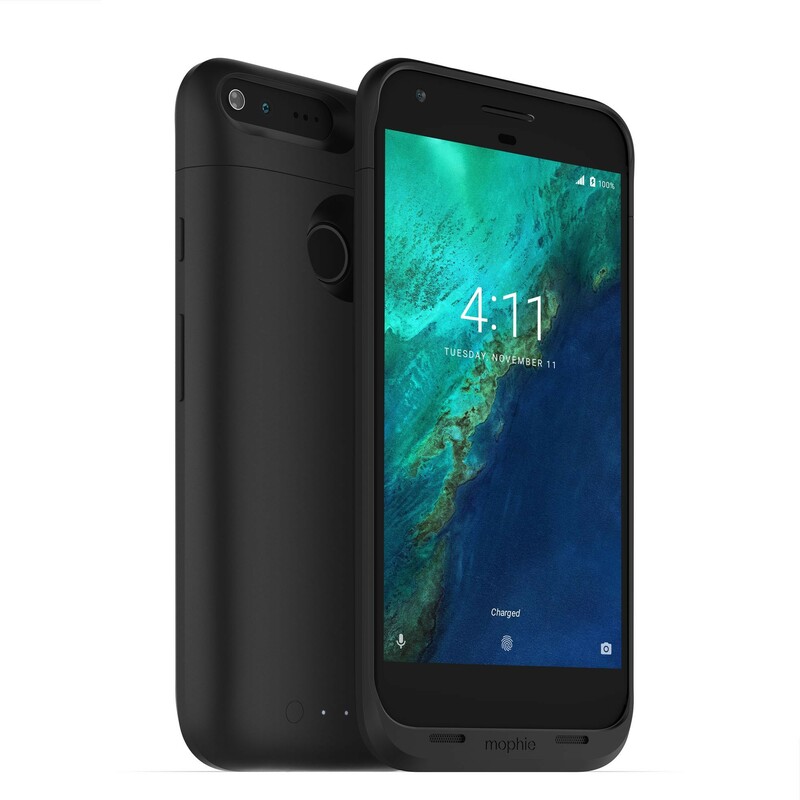 The Mophie juice pack for Pixel XL is available now from Mophie’s website for $99.99 USD and if you’re in the US, you can pick on up from your local Verizon store.